So right to get this out in the open, I do admire you for that. 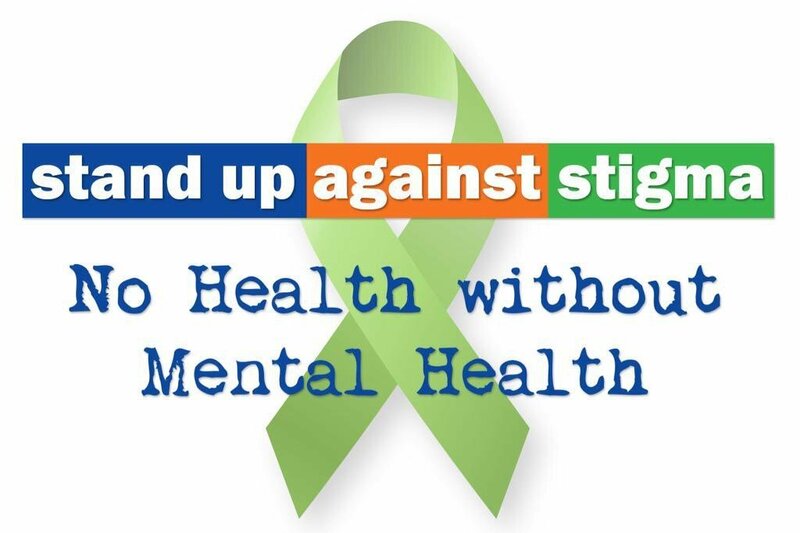 There is still such a stigma in so many folks feelings about mental problems…yet here in the UK , I read 1 in 4 has trouble of this nature some time in their life. Well done. The personal is political which why the #MeToo movement is so important. Silence is the enemy of the oppressed. Wow… This is a really important post, Rob. It just makes me feel very uneasy that so much proactive effort is necessary from the patient. Sadly that seems to apply to every kind of health care. I’m happy to read that you are “finding your way.” I can certainly relate to feeling so many different ways all at once. Be good to you, my friend. Hugs. Thanks Teagan. Some of these rules apply to getting treatment in general. Never go alone, bring a list of questions, don’t assume the doctor knows everything, prepare for the an event in which you can’t advocate for yourself and study your diagnosis as if you were going to treat it. I wouldn’t have a psychotherapist if one of my alternates had not learned how to write a Statement of Medical Necessity. DID is an interesting ‘illness’ in that a patent’s alternates can often rational and highly accomplished. It shows that I already “liked” this but I have not even been awake until just now and it looks like you only posted it a few hours ago. How bizarre is wordpress! Anyway!! I completely agree with you! I reblog posts about mental health to the Survivor’s Network which uses up the one time I can reblog a post. One way around this is to take the post offline and schedule it as a new post which I do if I make significant revisions. So you may have seen the post in an earlier incarnation. I’m glad you saw it again and found it relevant. Ahhh ok that makes sense! I was just hoping my account was not hacked again. I know how jumbled my memory gets. I’m glad you said something. Robert, this is a very important list to keep in mind! You know what you are talking about and so it is of even greater value! Thank you!! And it is wonderful how much you can help others now! I see so much needless suffering. I can’t end all of it but helping people gives my pain meaning. I don’t think we’re meant to live pain free lives. I think we’re supposed to learn from our pain and transform it into positive action. Thank you for being such a consistent support these past few years, Erika. I think the same we need the pain in order to learn. As long as all is well we won’t start to take action or move and the lesson we learn from the pain is so much more insightful! I simply admire the person you are and how far you have come, Robert! And I thank you for sharing your experience, dear friend!! And you too Erika. I hope the holiday season is a good one for you! Thank you so much, Robert. I love the holiday season very much! I wish you the same, my dear friend!! We had discussed a white rose, I think. We did… I see a pingback… heading right over!! This is stuff everybody needs. Thanks. How are you? Yes, it is. I’m in intensive out patient treatment which is a step down from being ‘in’ the hospital. I go to a Kaiser Clinic three days a week and see my therapist on the off days. I feel like I’m finding my way through this–it takes time. I feel a dozen different ways all at once so it’s a bit overwhelming. The stigma against people with chronic mental health conditions is thickest in the behavioral health system which is as much an economic model as it is a set of treatment approaches. Behavioral Health Systems prefer relatively healthy people with easy to solve problems related to temporary life adversity. One can think one’s way out of believing that one are a loser because one was ‘downsized’ out of a job. It’s much harder to cope with getting fired because you have a chronic form of Schizophrenia and stopped taking your meds because you lost insight. Exactly. My second cousin has Schizophrenia I totally agree w/u. Stigma kills more than mental disease ever could. And having worked in that setting I saw so many UNcaring people in it I could not believe what I was seeing. You are so right. They definitely believe mental illness is somehow a choice. It drives me crazy. I am thinking of you today, your sister is somewhere above us, glad for your love of her, and she hears all your heart says to her, I really believe this. Always. Loyalty. We stand together. We stand stronger because of it. Yes…this is why so much money and effort is spent dividing us into warring camps snarling at each other over scraps. Definitely. Like with feminism. It couldn’t stand for equality. The black women got mad with the white, the transgender with the non transgender, the upper class with the lower class, the mothers from the non mothers, the gays from the straights. Good grief. If we KNEW the power of standing together we actually could do more or less ANYTHING and completely change the world but we’re so indoctrinated to compete and compare. We forget that “rights” are legal concepts that have no meaning without money or access to rhe courts. Without access ‘rights” enrich the already powerful. Next Next post: The Day the Russia Data Machine Kicked into Turbo!